Australian Poker Hall of Famer Jeff Lisandro Wins Sixth WSOP Gold Bracelet! In and out in less than three hours. 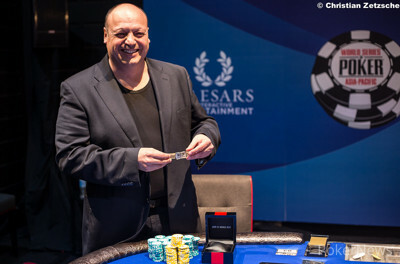 That's how Jeff Lisandro did it to capture his sixth World Series of Poker gold bracelet. In doing so, Lisandro earned the AU$51,660 top prize and joined the likes of TJ Cloutier, Layne Flack, Ted Forrest, Jay Heimowitz, and Daniel Negreanu as the other massively accomplished players with that many pieces of WSOP hardware. Lisandro began the day third in chips, and it only took six hands to send the first three players of the final six home. First to go was Paul Mac, and then Paul Sharbanee followed him out the door. 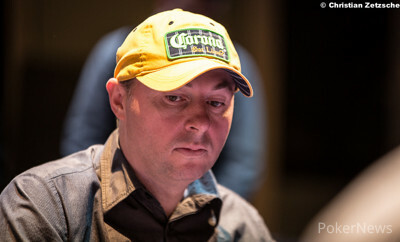 Gary Benson busted in fourth place on the sixth hand of the day before a bit of time passed prior to Zane Ly busting in third place on the 35th hand of Day 3. 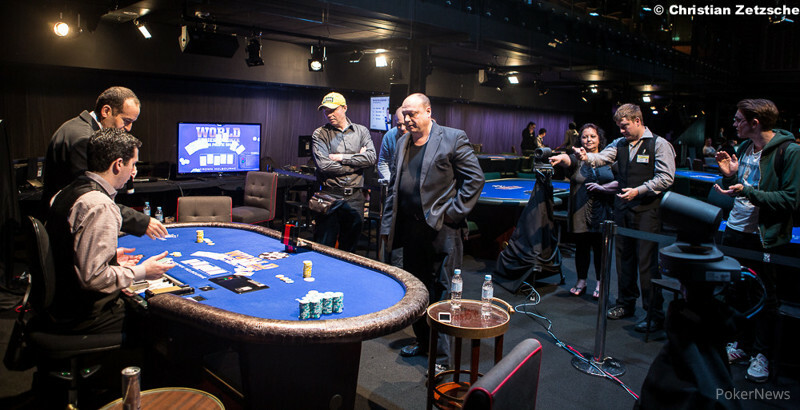 Ly, who was making his second final table of this series after placing sixth in the first event, busted at the hands of Lisandro when the Australian Poker Hall of Fame member's aces held up. After that, it took 99 hands of battling with Jason Gray for Lisandro to finish the job. Gray, who was making his fifth WSOP final table, is also a member of the Australian Poker Hall of Fame, but unfortunately for him his first bracelet will have to wait. On the 134th hand, the final two players got the money in and it was Lisandro hitting a wheel straight on the river to win the tournament. With that, another event from the 2014 WSOP Asia-Pacific is in the books, and it was a great one that saw Lisandro once again carve his name into poker history. We're not done, though, and you can find more live reporting by clicking here through PokerNews' exclusive coverage. Hand #129: Jason Gray had the button, and he limped in. Jeff Lisandro checked his option, and the flop came down . Lisandro checked, Gray bet 12,000, and Lisandro called. The turn was the , and Lisandro checked. Gray bet 21,000, and Lisandro called. The river was the , and Lisandro checked. So did Gray. Lisandro showed the for a flush, and he won the pot. Hand #130: The two players saw the flop of , and Gray check-folded to a bet of 15,000 from Lisandro. Hand #131: Gray limped in, and Lisandro checked to the flop. Lisandro checked, and Gray bet 12,000. Lisandro called, and the turn was the . Lisandro led with a bet of 25,000, and Gray folded. Hand #132: Lisandro had the button and limped in. Gray checked, and the flop came down . Gray bet 12,000, and Lisandro called to see the land on the turn. Both checked, and the turn was the . Gray checked, and Lisandro bet 20,000. Gray folded. Hand #133: Gray raised to 21,000, and Lisandro reraised to 63,000. Gray folded, and Lisandro won the pot. Hand #134: Lisandro had the button and called. Gray checked, and the flop came down . Gray led for 12,000, Lisandro raised, Gray reraised all in, and Lisandro called. Gray was at risk with the for two pair, and Lisandro had the . The turn was the and kept Gray in the lead, but the on the river delivered Lisandro with a wheel straight and the winning hand. For his efforts, Gray earned AU$31,931, while it was Lisandro walking away with his sixth World Series of Poker gold bracelet. Hand #125: Jason Gray had the button and gave Jeff Lisandro a walk in the big blind. Hand #126: Lisandro gave Gray a walk this time. Hand #127: Lisandro got a walk. Hand #128: The two players saw the flop come down , and Gray checked. Lisandro bet 10,000, and Gray folded. Hand #118: Jeff Lisandro had the button, and he limped in. Jason Gray checked, and the flop came down . Gray checked, and Lisandro bet 15,000 to win the pot. Hand #119: Gray raised to 22,000, and Lisandro folded. Hand #120: Lisandro raised to 22,000, and Gray called to see the flop come down . Gray checked, and Lisandro checked. The turn was the , and Gray bet 30,000. Lisandro called. The river was the , and Gray fired 50,000. Lisandro folded, and Gray won the pot. Hand #121: Gray had the button, and he gave Lisandro a walk in the big blind. Hand #122: Lisandro called, and Gray checked to see the flop. Both checked, and the turn was the . Gray bet 16,000, and Lisandro called to see the on the river. Gray checked, and Lisandro bet 35,000, and Gray folded. Hand #123: On the flop, both players checked to see the on the turn. Lisandro bet 16,000, and Gray folded. Hand #124: On the flop, Gray checked, and Lisandro bet 16,000. Gray called, and the turn was the to pair the board. Gray checked, and Lisandro bet 20,000. Gray folded. Hand #115: The two players took an flop, and Jason Gray bet 12,000 after Jeff Lisandro checked. Lisandro folded. Hand #116: Lisandro raised to 22,000, and Gray called to see the flop come down . Gray bet 30,000, and Lisandro raised the pot. Gray gave it up, and Lisandro won the pot. Hand #117: Gray limped in, and Lisandro checked his option to see the flop come down . Lisandro checked, and Gray bet 12,000. Lisandro called. The turn was the , and both players checked to see the on the river. Lisandro bet 16,000, and Gray studied before giving it up. Hand #100: Jeff Lisandro had the button and raised to win the pot. Hand #101: Jason Gray had the button, and he raised to 22,000 to win the pot. Hand #102: Lisandro limped in on the button, and Gray checked to see the flop. Both checked, and the turn was the to pair the board. Gray checked, and Lisandro bet 14,000. Gray called. The river was the , and Gray checked. Lisandro bet 25,000, and Gray went into the tank. Eventually, he gave it up, and Lisandro won the pot. Hand #103: Lisandro got a walk. Hand #104: Lisandro called, and Gray checked to see the flop. Both checked, and the turn was the . Both checked again, and the river was the . Gray checked, and Lisandro bet 15,000. Gray called, but mucked when he saw Lisandro's for a Broadway straight. Hand #106: On the flop, Gray bet 12,000, and Lisandro folded. Hand #107: The two players took the flop, and both checked to see the land on the turn. Both checked, and the river was the . Lisandro checked, Gray bet 12,000, and Lisandro folded. Hand #108: On the flop, Gray bet 12,000, and Lisandro called to see the come out on the turn. Gray checked, and Lisandro checked. The river was the , and Gray checked. Lisandro bet 30,000. Gray folded, and Lisandro won the pot. Hand #109: Gray limped in, and Lisandro exercised his option with a raise to 24,000 from the big blind. Gray called, and the flop came down . Lisandro checked, Gray bet 30,000, and Lisandro folded. Hand #112: Lisandro raised to 22,000 and won the pot. Hand #113: Gray limped in, and Lisandro checked to see the flop. Both checked, and the turn was the . Both checked again, and the river was the . Lisandro bet 10,000, and Gray called. Gray showed an unknown two pair, and Lisandro mucked. Hand #114: Gray got a walk. Hand #86: On the flop, Jason gray check-folded to a bet of 11,000 from Jeff Lisandro. Hand #87: Gray raised to 22,000, and Lisandro folded from the big blind. Hand #88: On the flop, both players checked to see the land on the turn. Gray bet 12,000, and Lisandro called to see the land on the river. Gray bet 25,000, and Lisandro folded. Hand #89: Gray raised to 22,000 on the button, and Lisandro folded. Hand #90: Lisandro raised to 22,000, and he won the pot. Hand #91: Gray limped in, and Lisandro checked his option to see the flop. Lisandro checked, Gray bet 15,000, and Lisandro folded. Hand #92: Lisandro made it 22,000 to go from the button, and Gray called to see the flop come down . Gray bet 30,000, and Lisandro folded. Hand #93: Gray gave Lisandro a walk. Hand #94: On the flop, both players checked to see the pair the board on the turn. Gray led for 12,000, and Lisandro folded. Hand #96: The two players saw the flop come down flop, and both checked to see the land on the turn. Gray bet 12,000, and Lisandro folded. Hand #98: Lisandro limped on the button, and Gray checked his option in the big blind to see the flop come down . Both checked, and the turn was the . Gray bet 12,000, and Lisandro folded. Hand #99: On the flop, Lisandro checked, and Gray checked. The turn was the , and Lisandro bet 11,000. Gray folded.